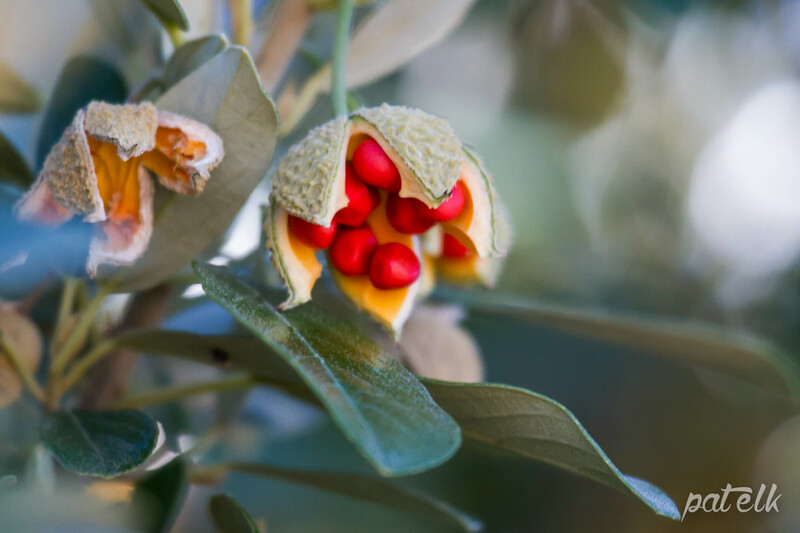 The Wild Peach Tree – Kiggelaria africana, (Afrikaans name Wildeperske) is a medium size evergreen tree, occurring mostly in woody ravines and forests on the Eastern coast of Southern Africa. 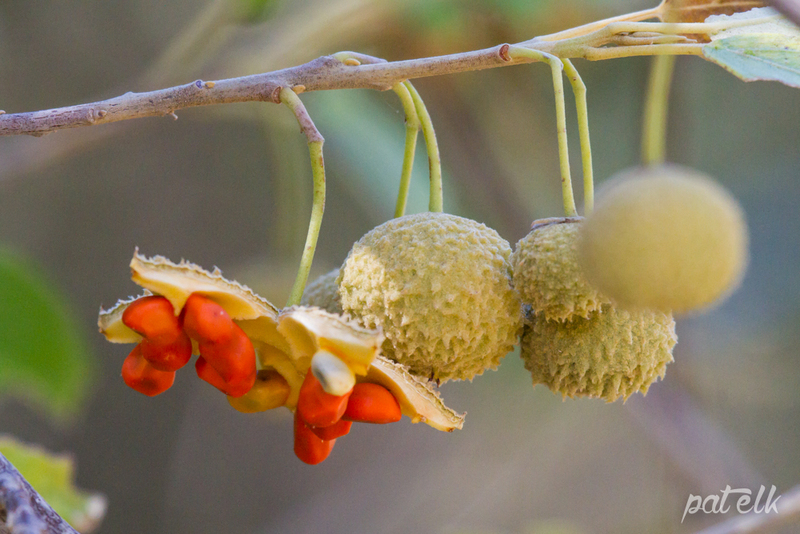 The flowers are quite nondescript but the seedpods are quite beautiful when they open showing those bright orange seeds embedded into the starlike open pod. 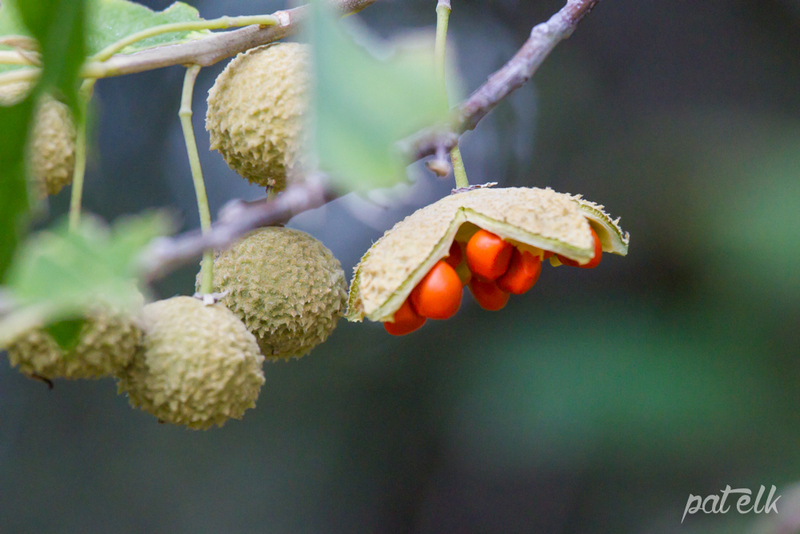 These seeds are loved by many of the wild birds. The Wild Peach is also larval food for the butterfly, Acraea horta and the tree can become completely defoliated by their caterpillars.